Well, it wasn’t planned, but it seems that in the jazz world at least, I’m highlighting a number of women performers this week, and International Women’s Day is Thursday, March 8. 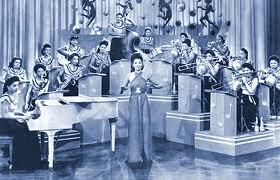 Hence the above picture of the International Sweethearts of Rhythm, a pioneering big band of the 40s. Fact is, you don’t need a special day to appreciate the role of women in jazz or any of the other arts. Just support their efforts. As for the guys, well support them too. Art in all its guises enriches our lives and gives us a different way of looking at the world. Ed note: I now have a page with addresses, phone numbers, and short descriptions of most of the venues i cover in the Twin Cities. Access it above. I’ll be adding to the list as I can. Now to this week’s suggestions. Benny Golson Quartet featuring Nnenna Freelon @ The Dakota, Minneapolis. 7pm & 9pm. ($35) Golson, at 83, is one of the last of the hard bop generation. He played with Art Blakey, Dizzy Gillespie, Benny Goodman and Lionel Hampton, and co-founded the Jazztet. He’s responsible for such jazz standards as Stablemates, Along Came Betty, Killer Joe, and almost 300 more compositions. 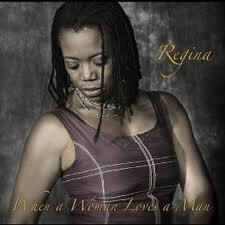 Nnenna Freelon is simply a terrific jazz singer – she’s been nominated for six grammys. Here’s Golson performing Killer Joe. Dakota Combo @ The Artists’ Quarter, Saint Paul. 7pm (No cover). The Twin Cities Jazz Society presents another in its Young Artists Series, featuring high school students that will surprise you with their jazz chops. Tonight it’s the Dakota Combo. This group changes every school year as students audition for the opportunity to study with Adam Linz at the MacPhail Center. Afterwards, stick around for Peter Schimke, Billy Peterson, and Kenny Horst at 9pm. Lee Engele and James Allen @ The Wine Market in The Village, Mendota Heights. 5:30 – 7:30pm (Free) Well, it’s free as long as you don’t succumb to temptation and buy wine. 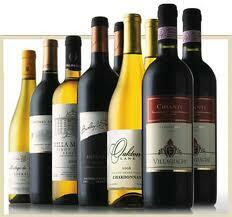 This unusual gig is part of a wine tasting and sale taking place at the market. Allen is an accomplished guitarist, who has become an in-demand accompanist for vocalists, especially those who know how to swing, as Ms Engele so ably does. Joe & Roxy Cruz @ Ingredients, White Bear Lake. 7pm – 10pm. Jazz standards and good food. Joe’s been pickin’ his guitar around the Twin Cities for 15 years or so. Roxy sings with the Minnesota Opera, but is flexible enough to handle bossas, swing, and bop, with a bit of scatting along the way. Manhattan Transfer @ The Dakota, Minneapolis. 7pm ($75) & 9pm ($50) Not sure what I can say about this legendary group that hasn’t already been said. If you’ve not listened to any music for the last 40 years or so you may have missed them. With two females and two male singers, this quartet has the flexibility and vocal chops to bring four-part harmonies to bebop, doowop, Latin, pop, and more. Charmin Michelle @ The Lexington, Saint Paul 6:30 – 10:30pm (No cover) The wood lined walls of the Lex’s Williamsburg room are the perfect setting for Ms Michelle’s cool, yet swingin’ vocals. She’ll be accompanied by Phil Mattson on piano and Bruce Heine on bass. Belly up to the bar or get a close-by table and order some of the Lex’s fabled food. PipJazz Sunday @ The Landmark Center, Saint Paul 5pm – 7pm. ($20). Pippi Ardennia starts up a new season of monthly concerts in the Weyerhauser Auditorium. Each concert features Pippi as singer/host and a special guest as well as young musicians. Today’s special guest is saxophonist Jason Delaire, from L.A., while high school sax player Devante Jackson will be the young guest. Also on hand will be M-Theory, a vocal ensemble from MacNally Smith College of Music. I interviewed some of these young artists last Saturday (March 3). You can hear the interview here. It starts about 15 minutes into the program. BTW, Student tickets are free. Check out the link above for details. Regina Marie Williams CD Release @ The Dakota, Minneapolis. 7pm ($10) Besides acting at at the Guthrie, Mixed Blood, Penumbra, and in New York, Williams successfully portrayed Dinah Washington in Dinah Was at the Ordway. None other than Angela Basset called her “the best singer you’ve never heard.” Well here’s your chance. The new CD is called When A Woman Loves A Man. In it, Williams renders her own effective renditions of well-known standards and a surprise or two. I’ll have her as a guest on my show Saturday, March 10, at 10:45. Framework @ The Black Dog Coffee & Wine Bar, Saint Paul. 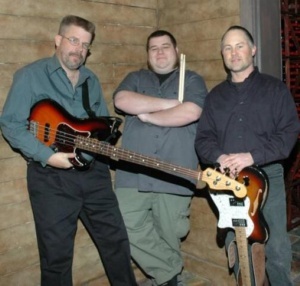 7:30pm (tip jar) Framework is Chris Olson, guitar, Chris Bates, bass; and Jay Epstein, drums. Pretty tasty stuff. Joe & Vicki Price @ Neumann’s, North Saint Paul. 7pm (tip jar) The Iowa blues duo are coming North once again. This time they’re joining Harold Tremblay as part of Harold’s All Stars. It’s an early show at the oldest continually operating bar in the state. If you miss ’em, they’ll be at Hell’s Kitchen in Minneapolis for another early show on Saturday (6:30pm). Hipshaker @ The Kitty Kat Club, Minneapolis. 9:30pm (No Cover) Rare funk n’ soul. Head hipshaker DJ Greg won’t be there, but DJ Steely of KFAI’s Kinda Cloudy will step up to help DJ Brian, along with special guest Ryan Cameron, owner of the late, lamented Let It Be Records. Swamp Kings @ Shaws, NE Minneapolis 9pm (No Cover). The Swamp Kings successfully channel Louisiana rhythms into a three-piece format. Shaws may not have a lot of room in front of the stage, but that doesn’t mean you can’t have a good time there. Hot Tuna @ The Cedar Cultural Center, Minneapolis. 5pm and 9pm Jorma Kaukonen and Jack Casady started Hot Tuna as an acoustic spinoff of Jefferson Airplane back in the heady days of the 70s. Their rootsy approach to music struck a chord before anyone called it roots music. They are now touring in support of “Steady as She Goes,” their first studio album in 20 years. Tab Benoit’s Swampland Jam @ The Cabooze, Minneapolis. 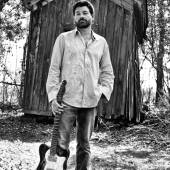 9pm ($20) Guitarist Benoit was born on the bayous and has been recognized and praised for his work to protect the wetlands of his native Louisiana. His playing respects tradition, but also acknowledges modern influences. Tonight, he brings along Michael Doucet of Beausoleil as well as Chubby Carrier to create a foot stompin’ propulsive evening of tunes. Paul Manske Tribute @ Wilebski’s, Saint Paul. 1pm doors, music: 2pm ($10) The late bassist Paul Manske was well loved by all in the local music scene. He played with The Boogiemen, Hillbilly Voodoo Dolls, and others, and was a booking agent and manger for many bands. His sudden death was a shock to all. There will be a surfeit of his musical friends appearing, from the Swamp Twisters and the Dough Bros, to the Butanes, Jack Brass Band, and Hillbilly Voodoo Dolls. Proceeds to his wife Karen to defray medical expenses. Exciting music for a good cause. John Oates @ The Dakota, Minneapolis. 7pm ($50-$40) The mustached half of Hall & Oates has long left his facial hair behind and has been releasing solo material for ten years or so. His latest is “Mississippi Mile,” an exploration of his early influences, as well as pop music. Peter Hennig and His Bluegrass Bandits @ The Black Dog, Saint Paul. 8pm. (tip jar) Peter is a busy jazz drummer around town. Who knew that he also had inner yearnings for the high lonesome sound of bluegrass? Or that he played banjo? Find out tonight. James Blood Ulmer Solo @ The Dakota, Minneapolis. 7pm ($25) Guitar geeks will be filling the Dakota to catch this 70 year old performer, who started out playing in organ combos, eventually blazed a trail with Ornette Coleman, played with Pharoah Sanders, led Punk-jazz groups, and generally creates blues so greasy you’ll be looking for that dinner napkin you were using with your chicken wings. Check out this video. This entry was posted on Wednesday, March 7th, 2012 at 9:15 am and is filed under Weekly Preview. You can follow any responses to this entry through the RSS 2.0 feed. You can leave a response, or trackback from your own site. Larry, there are all sorts of things I’d like to be doing that you’ve posted here. Hot Tuna at the Cedar Cultural Center! Dang, I already have plans. Larry has come up with so much that’s going on in the Twin Cities. This is well worth a read.